After the 2008 election, one of the demands made by the Maori Party as a condition of their support for John Key’s newly elected National government was a constitutional review. Their objective was to entrench the Treaty of Waitangi as higher law into a new New Zealand constitution. In fulfilment of that demand a Panel was chosen to guide the process, meetings were held, public submissions were called for, and in late 2013 a report was produced for the government. During that process New Zealanders clearly demonstrated that they had no appetite for elevating the Treaty into a central role in our legislative and constitutional affairs. During the early stages of the review, the New Zealand Centre for Political Research became increasingly concerned that the general public were not taking the matter seriously enough. While constitutional issues are not regarded as especially riveting by most people, the changes being proposed by the Maori Party and Iwi Leaders were so radical that they had the potential to permanently and detrimentally alter the future course of New Zealand. We decided we could not sit by and let it happen. Accordingly, we established a shadow constitutional review process, appointed our own panel of experts, invited submissions, and produced our own report on the matter. Most importantly, we gathered sufficient support to run a high profile public information campaign to alert New Zealanders to the dangers being posed by the constitutional review. In our newspaper advertisements, we encouraged as many people as possible to have their say in the government’s submission process. The campaign was exceedingly effective. Literally thousands of people responded with submissions against a Treaty based constitution, to the extent that the government’s Panel was swamped with submissions and had to extend their deadline by another month. In the end, people power prevailed and the NZCPR played an important role in preventing a vested interest group taking New Zealand down a dangerous separatist path. But as history shows only too frequently, privilege seekers never give up. While, in this case, the Maori Party and iwi leaders did not succeed in changing our constitution, their desire to secure special power and control over the governance of New Zealand in general, and the country’s natural resources in particular, has not halted. There is an old saying that ‘the price of freedom is eternal vigilance’. In a democratic society like New Zealand, that means being on constant guard against those who seek control through unelected power. Right now Iwi Leaders are demanding the ownership and control of New Zealand’s freshwater. That is their new agenda. But the law in this area is clear. Even though water may pass over privately owned stream and river beds, nobody owns water until it is contained in a tank, pipe, bottle, or some other vessel. At that stage it becomes the property of the person who owns the vessel. All common law rights to water were nationalised in 1967 under Section 21 of the Water and Soil Conservation Act, with regional councils and unitary authorities having the responsibility for managing water under provisions in the Resource Management Act. As far as claims for water ownership are concerned, Clause 6AA of the Treaty of Waitangi Act 1975 – as amended by the Clark Labour Government – ended the lodging of new historic Treaty claims to the Waitangi Tribunal: “after 1 September 2008 no Maori may submit a claim to the Tribunal that is, or includes, a historical Treaty claim”. 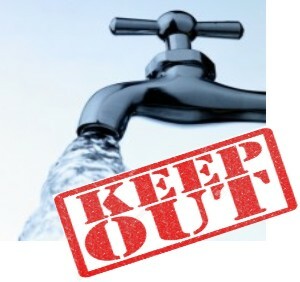 While it does not prevent claims submitted to the Waitangi Tribunal on or before 1 September 2008 from being amended to include a water right, the Tribunal has no jurisdiction to deal with new historic claims for water. This means that while the Waitangi Tribunal may have ruled in favour of the Maori Council’s 2012 claim for the ownership of water, finding that “the closest English cultural equivalent to the Maori customary right in 1840 was full ownership” and that iwi need “enhanced authority and control in how their taonga are used”, the Tribinal had no grounds to investigate this new historical claim. This however, has not prevented Iwi Leaders from demanding “authority and control” over water, to, in effect, gain the same rights as ownership. The issue came to a head last Waitangi Day when they gave the Prime Minister an ultimatum to provide them with the control of freshwater within a year. The government is now complying. Right now, unbeknown to most New Zealanders, the National-led Government and Local Government New Zealand are smoothing the way for regional councils and unitary authorities to pass control of the management and allocation of freshwater to iwi. The strategy was agreed between the government and Iwi Leaders in April. Since then, Iwi Leaders have been consulting with Maori groups around the country, disclosing the plan and seeking their approval. No such meetings are being held by central or local government to seek the approval of other New Zealanders, who will also be affected by these changes. There is talk that some sort of consultation process might be established next year, but by then it will be too late – the deal will have been done. Last month, again without any engagement with the public, Local Government New Zealand, on behalf of the country’s local authorities, signed a Memorandum of Understanding with Iwi Leaders to establish a secret-deal-making process to progress the highly controversial transfer of resources and power to iwi. Essentially this will ensure that not only will the public be excluded from the whole decision-making process, but they will not even be aware it is going on. For instance, in the Memorandum, Local Government New Zealand – on your behalf – has agreed to Clause 5(a), stating that they “acknowledge the mana and kaitiakitanga status of iwi over the nation’s land and natural resources”. Since when did New Zealanders agree that iwi have a special status over the nation’s land and natural resources? Does that mean local authorities consider that private ownership and property rights will now be subordinate to the rights of iwi? Did each of the local authorities who are represented by Local Government New Zealand really agree that iwi have mana and guardianship status over the land and natural resources in their jurisdiction? Do the councillors that you elected as your local representatives agree that iwi have mana and guardianship status over your land and natural resources? Did your councillors ask your opinion on this? Of equal concern are clauses 15 and 16(b) of the Memorandum, which state that Local Government New Zealand intends reaching a “consensus” with iwi leaders on “local democratic representation and decision-making”. How can iwi and Local Government New Zealand representatives even consider that such major constitutional matters can be decided in secret by them alone? Since the appointment of iwi representatives with voting rights onto local authority councils undermines local representative democracy, it is a highly controversial issue of fundamental importance to all New Zealanders. In fact, it is totally undemocratic to shut the public out of a process that would create a parallel system of governance, whereby all citizens seeking representation on a local authority must stand for election – except iwi, who can be appointed. At the present time, while the control of water is in the hands of democratically elected councillors, who have sworn an oath to put the needs of their community ahead of any personal self-interest, the Memorandum paves the way for the establishment of co-management water rights committees, with a half of the members appointed to represent iwi tribal interests. That effectively places the democratic control of New Zealand’s freshwater into the hands of private iwi business corporations. Because of the secrecy clauses in the Memorandum, not only will locals have no say over these developments, but most will have no idea that any such deals are even being contemplated. To set the record straight, there is no legal requirement for councils to make any changes to their management of freshwater. While iwi might want local authorities to treat them as Treaty partners and give them co-governance rights, there is no such partnership – a matter that has been confirmed by the Environment Court, which has stated that local authorities are not subject to Crown obligations under the Treaty. Furthermore, the Local Government Act and the Resource Management Act simply require councils to take account of the concerns and needs of local iwi. They are not required to appoint iwi representative onto council committees with voting rights, nor are they required to give them control over freshwater. Essentially, Iwi Leaders, the Government, and Local Government New Zealand are stitching up a deal on a council by council basis to pass control of freshwater to iwi – all without the awareness and understanding of the general public. From that deal iwi are not only seeking to control freshwater, but they also want a free water right allocation in perpetuity, on a priority basis, for marae, housing and land. They also expect that any infrastructure needed to supply those water rights should be provided free of charge – in other words, they want others to pay for the infrastructure that provides the free water! “What we now know is that ‘senior government ministers’, including the Prime Minister, have over the last few months been willing to agree in principle to extending a kind of co-governance arrangement over many of the country’s lakes and rivers – while we’ve all been busy debating the flag and wondering who would be selected to play for the All Blacks in the Rugby World Cup. “One of the objectives of the Freshwater Iwi Leaders Group (a group representing most of the major iwi in the country) is to ensure that all Crown-owned lake beds and river beds, together with the related ‘water column, the space through which the water flows’ are vested in the relevant hapu or iwi, as has already been agreed by the government for Ngati Tuwharetoa with respect to Lake Taupo. Control of a country’s freshwater is a crucial matter of major public importance. If the National-led Government wants to give private iwi business corporations control of New Zealand’s freshwater, they should come out and say so. Others should also disclose their positions on this matter. All politicians and political parties should be asked to outline where they stand on this decisive issue – would they put iwi businesses in control of the management and allocation of the country’s freshwater? And local authority councillors should be individually asked where they stand, since their votes on councils will be critical in pushing this through. So what can we, the citizens of New Zealand, do about this? First of all, we have to make others aware of what is going on. Politicians at every level – central government and local government – need to be challenged, right now, about these developments. And New Zealanders need to know that a behind-closed-doors deal is being done to transfer freshwater rights to Maori, and they need to know that it is being done in secret to avoid the inevitable controversy that such publicity would create. We believe this matter is important enough to run a public information campaign exposing the agenda for what it is – as we did for the constitutional review. Do you support the Iwi Leaders’ agenda to have central and local government pass control of freshwater to local iwi? Even Helen Clark had enough intestinal fortitude to knock that one on the head, so the apartheid Maori Party was born. If you are gullible enough to believe that the next step would not be Maori descendants charging for the use or enjoyment of our beaches & water-ways, then I wish you well & suggest you never consider voting for a political party that promotes one law for all. Maori never owned anything, they simply occupied a piece of land untill the next marauding tribe that turned up, drove them off.. A.G.R.